B.B. King biopic at the Brooks, Daddy Mack's new album, and KWEM back on the air. Life of Riley screens at the Brooks Museum of Art on Thursday, May 29th, at 7 p.m. This documentary from director Jon Brewer renders B.B. King and the blues in an unsentimental and unsettling manner. The film opens with Bill Cosby, who emphatically rejects any romantic notions of the music or of King's life. It's a powerful opening to a great historical document. King's life is set in place as he is interviewed in recent footage at the site of his birth. There are moving interviews with many of his old friends and family members. Those are cut against interviews with Bono and Eric Clapton. But the man who emerges is one who never stopped moving through a half century of extreme social change. The notoriously hard-touring King, now 88, was orphaned, went to a one-room schoolhouse, and then into the cotton fields of the Mississippi Delta. The horrors of the system are powerfully depicted. He witnessed a lynching, worked under armed guard, and ran away twice to Memphis before the musical life took hold. 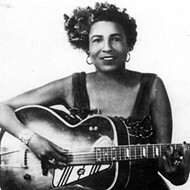 Music aside, the first-person history of 20th century plantation life is worth watching. What King accomplishes from this appalling situation is one of America's greatest artistic legacies. King's guitar playing is idiosyncratic to say the least. His stylistic efficiency relates to his lifestyle of working and moving fast with a light footprint. His ex-wife's story of him fishing in a silk suit has a funny aspect to it. But his response, "It's all I have," is that of an orphan who had nothing, had to depend on himself, and who couldn't let himself stop working. This is what Cosby wants us to bear in mind. This film should be shown in our schools. Life of Riley goes to video on demand on June 1st. • KWEM, the West Memphis-based radio station that launched "Memphis" music, is powering up again. Mid-South Community College in West Memphis received a license to operate a low-powered FM transmitter. The signal will go live in about 90 days on 93.3 FM and might reach parts of Memphis. But the programming will be streamed online at kwemradio.com. KWEM was a music-production think tank at the dawn of electrified blues. In the film discussed above, B.B. King mentions the exposure and experience he gained through his sponsored work on KWEM. The deal was you could pay to play on the air or get a sponsor. Howlin' Wolf, born Chester Burnett, had a connection to the station that ran for half a decade: Burnett was the station's first African-American host. 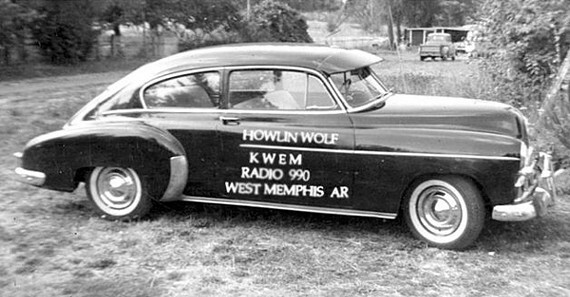 In 1951, Sam Phillips heard Wolf on KWEM, recorded him in Memphis, and sold the records to Chess. Everybody thought things were going along smoothly. However, Ike Turner, pianist and frequent collaborator with Phillips, took Burnett across the river to record at KWEM for the Bihari brothers, owners of the Modern label in Los Angeles. Although Wolf eventually went on to a productive relationship with Phillips and Chess, Joe Bihari and Ike Turner recorded four tracks on Howlin' Wolf at KWEM in 1951 and several the next year. Burnett, James Cotton, Junior Parker, Hubert Sumlin, and Elmore James worked or performed at KWEM. Bill Black and Scotty Moore played there. Johnny Cash made his broadcast debut and hosted a show. 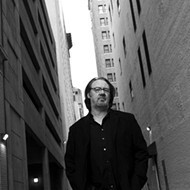 Jim Dickinson — Memphis' Dr. Johnson — was emphatic on the issue that Memphis music had its roots at West Memphis' Plantation Inn. He insisted that Packy Axton was the funky Prometheus who brought the sound back across the river. Between Phillips and Sun's reliance on KWEM and the Stax/Mitchell connection to West Memphis live scene, it's a wonder we don't call it West Memphis Music. 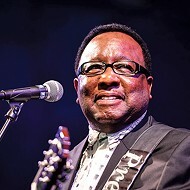 • Memphis Blues stalwart Daddy Mack has a new album and will celebrate its release at the trolley stop of the Center for Southern Folklore on Saturday, May 21st. 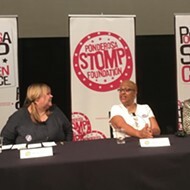 The show will be recorded for a Beale Street Caravan broadcast and will include tracks from Daddy Mack's latest album, Blues Central. If you've never heard and met this band, you're missing out big time. 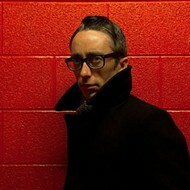 SONG PREMIERE: John Paul Keith sings "Red Cadillac and a Black Moustache"